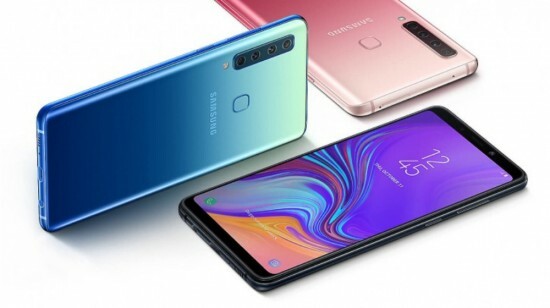 Samsung has just revealed a new Smartphone with 4 rear cameras, the Samsung galaxy a9 is real and alive. Just as we thought that the world now has enough rear cameras after Huawei launched the all new p20 pro, other companies decided to take things a bit far. According to nokia 4 cameras on the rear is still not enough a good flagship must have at least 5. 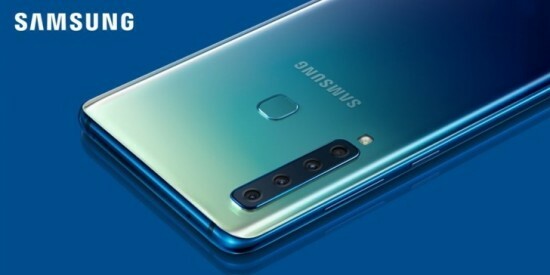 Samsung has already launched a phone with 3 rear cameras a7, which is one of the few of its kind. Its still a contentious subject, because the number of Smartphone’s, especially the Google pixel is still doing fine with single or dual cameras. The design of the phone isn’t much fancy but is premium enough because of the glass back ad 3d curved edges. The color option looks expensive enough for a9 to pass as a luxury phone. Samsung a series is pricey so it should at least look the part. Finger print scanner is available at the rear right beside the first of its kind quad cam vertical array. Unlike Huawei mate 20 design or Lenovo for the z5 pro, the four cam arrangement is done in a straight line instead of 2×2 square. The display fo the phone is decent super AMOLED unit, Samsung specially, boasting its resolution to 1080×2220. No notches on this phone that’s why the ratio is tall 18:5:9. The overall screen measures 6.3 inches diagonally. Moving towards the inside of the phone the new a9 has an older snapdragon 660 processor and an Adreno 512 GPU. In the high end mid range segment, you would expect at least a more recent snapdragon 710 from a phone with revolutionary cameras. Samsung is staying with the classic approach besides taking notes from its Chinese rivals the RAM of the phone comes in 6 or 8 GB, and with one storage option of 128 GB. It also has microSD card slot which can help in expansion of storage. 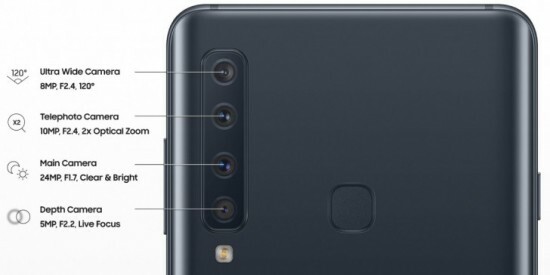 Now lets talk about the camera about what the phone is all about, galaxy A9 is the first phone to have 4 cameras. 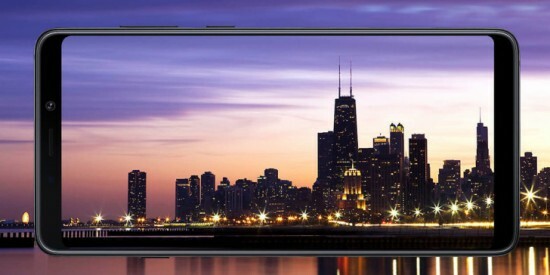 We have no idea that is it going to beat the flagship of cameras, especially the p20 pro, but the set up looks promising. It more likely a complete package, that doesn’t miss out any hardware feature. It has optical zoom, dedicated ultra wide lens, separate depth sensor for bokeh effect, and a large primary camera to shoot a detailed image. And finally, a 5 MP f/2.2 depth sensor for portrait mode effects. If you are planning to buy this phone, you will do most of the photography with the 24 MP lens, but to take occasional zoom shots or more wide angle shots then the phone will shift from one lens to other, the depth sensor works with the other lenses for portrait mode to add that bokeh effect. The front camera is of 24 MP that supports HDR and 1080p 30fps videos. The software is going to be android 8.1 Oreo, running Samsung grace UX on the top. The phone has a 3500mAh battery, non removable, chargeable via USB type C.The phone is available in caviar black, lemonade blue, bubblegum pink. In the next month The Samsung A9 will be hitting few markets and will also get launched in Pakistan soon. Price of the phone is not revealed yet.